This is an object based puzzle game similar to a cross between The Incredible Machine and Pachinko. Players are given an initial set of 42 marbles divided evenly into six colors. These marbles are picked up and dropped by the player into funnels leading to a series of rails, switches, traps and other devices which grow more complex as the game progresses. The aim is to ensure that marbles arrive in the bin with the same color as the marble. Players must determine how the marble will travel through the puzzle, and how its journey will change the puzzle for the next marble. When a marble runs over certain sections of the puzzle, the paths are possibly re-routed or cut-off, temporarily or permanently. For example, if the marble runs over a button, it might activate a diverter that sends the next marble down a different path. There are 50 puzzles in all, including 5 bonus puzzles which can only be accessed via combination locks which appear in certain puzzles. Each puzzle is decorated with very nice Leonardo-esque sketches. Explanatory notes in da Vinci's handwriting form part of the background, informing the player of new pieces of equipment and their effects. At the end of each puzzle, the marbles guided into their proper bins are returned to the player. 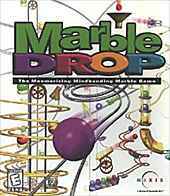 Lost marbles must be purchased when they are needed to complete a puzzle. Steel balls are 20% the price of colored marbles, and can be used as test marbles or to help release a catch instead of using a valuable colored marble. Black marbles are very expensive, but acquire the correct color when they arrive in the target bin.